Waldeinsamkeit (13): A Biography of a Grandfather and a Guide to Standard Floras of the World. – a dossier of collages on parchment by Daniele Pantano. 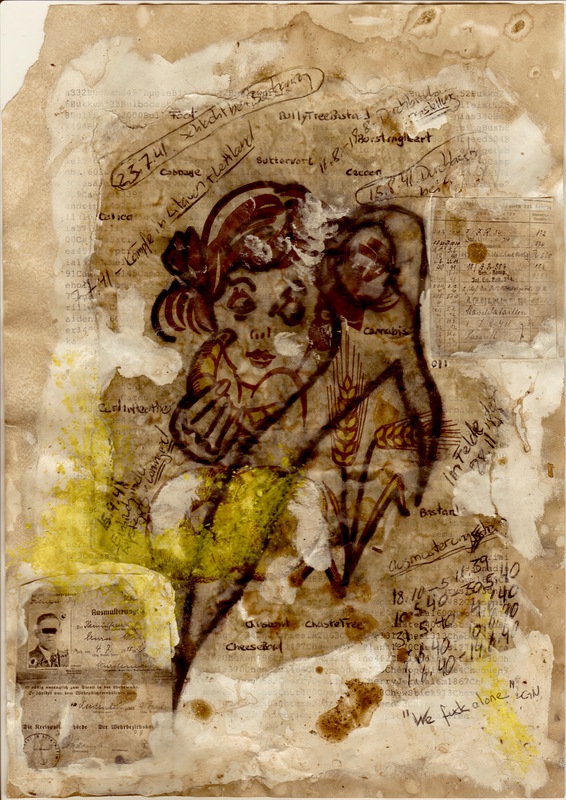 A dossier of collages on parchment by Daniele Pantano. Click here for a sample. Daniele Pantano is a Swiss poet, artist, literary translator, critic, and editor. His individual poems, essays, and reviews, as well as his translations from the German by Friedrich Dürrenmatt, Georg Trakl, and Robert Walser, have appeared or are forthcoming in numerous magazines, journals, and anthologies worldwide. Pantano’s poetry has been translated into several languages, including Albanian, Bulgarian, German, French, Kurdish, and Farsi. His most recent works include ORAKL (Black Lawrence Press, 2017), Robert Walser’s Fairy Tales: Dramolettes (New Directions, 2015), Dogs in Untended Fields: Selected Poems by Daniele Pantano (Wolfbach Verlag, 2015), and Robert Walser: Comedies (Seagull Books, 2017). Pantano taught at the University of South Florida, served as the Visiting Poet-in-Residence at Florida Southern College, and directed the Creative Writing program at Edge Hill University, England, where he was Reader in Poetry and Literary Translation. Pantano lives somewhere at the end of a line. For more information, please visit www.pantano.ch. Buy now for £7 within the UK or £10 elsewhere. Both prices include postage.